Read 'Graveyard' With NPR's Backseat Book Club Introducing a new NPR book club ... for kids! Our first book will be The Graveyard Book by Neil Gaiman. Young readers are invited to read the book and share their thoughts and questions with us. Just before Halloween, Gaiman will be on the program to answer questions from young listeners. Finally, NPR For YOU! For all those youngsters in the back seat who are fed a steady diet of NPR news, here's a book club just for you! Read along with us and send us questions you have for the authors. We are starting a special project at NPR aimed at our younger listeners. 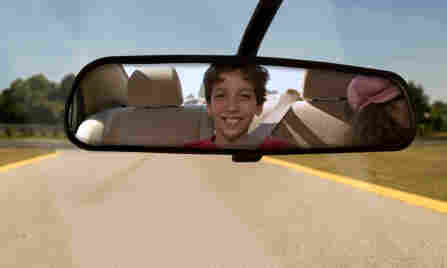 We're talking about all those young people who listen to NPR programs while riding in the car or sitting at the kitchen table. We'd like you to lend us your ears and your curiosity. Beginning this October, All Things Considered is rolling out NPR's Backseat Book Club for kids ages 9 to 14. We're asking young people and their parents to join us in reading a special book each month. We also want young readers to join in the conversation with that book's author. We want to know what you think about the book. And most important, we want to give authors a chance to answer your questions. This is a great way for All Things Considered to celebrate kids' books and to provide a special treat for all those youngsters who are fed a steady diet of NPR news. Since we are starting this book club in October, we couldn't resist a book that is full of tricks and treats and ghoulish adventures. 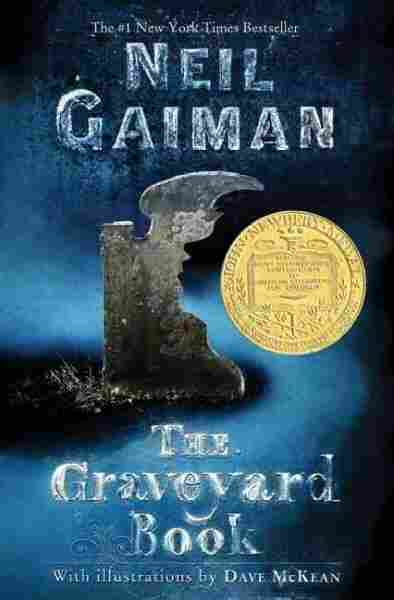 Our first selection for the book club is The Graveyard Book by Neil Gaiman. (You can hear Gaiman read the whole book here.) It's the story of a little boy who escapes a terrible fate and winds up spending his childhood as the only living resident in a hillside cemetery. You may have heard the phrase, "It takes a village." Well, in this case, it takes a graveyard to care for a young orphan. From his earliest days, the little boy named Nobody Owens is raised and nurtured by ghosts and other ghoulish creatures who live in the graveyard. Now, there are a few things you and your parents should know about this month's book club selection: Orphaned children are prevalent in children's literature, and this book certainly falls in that category. But don't be too quick to judge this book by its first few pages. We chose The Graveyard Book because it fit well with a Halloween theme, and while the story starts on a particularly gruesome note, it's the beginning of a rich and magical journey that is well worth your time. The Graveyard Book has won numerous awards; it was the first children's novel to win both the Carnegie and Newbery medals. We hope children and parents enjoy reading The Graveyard Book and we look forward to hearing from you. Click here to submit your thoughts and questions about The Graveyard Book. And be sure to listen to All Things Considered on Friday, Oct. 28. Just in time for Halloween, Gaiman will be on the program to chat about his book and answer some of your questions.